Browse castor-meal suppliers by country and region. 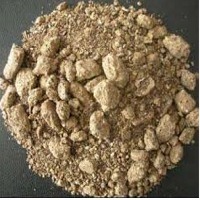 Castor meal Castor meal is widely used as organic manure due to the presence of mainly nitrogen, phosphorus and potassium. Castor seed is crushed to obtain oil and cake which is further sent to solvent extraction for removal of residual oil and to obtain castor meal. Castor is one of the highly commercialised oilseed. It is sowed from july to october and harvested october onwards till april. India is the largest producer and exporter of castor oil, seeds and meal. Other large producers are china and brazil. The general specification of castor meal (organic manure) is as below: Nitrogen: 4% min. Potassium: 1% min. Phosphorus: 1% min. Moisture: 12 pct max. Protein 34%min. Oil content 0.50%max. Bulk vessel, containers in 50 kg, 500 kg pp woven sacks. Short on time? Let castor-meal sellers contact you. Castor meal, rapeseed meal, soya meal. High Protein Castor De Oiled Cake - Organic Fertilizer High Protein De-oiled castor cake is also called castor meal, castor cake, castor residue or castor extract. Castor meal - the residue obtained from castor oil cake by the solvent extraction process - is one of the most versatile natural manures. It is truly organic manure which enhances the fertility of the soil without causing any damage or decay. It is enriched with the three big elements vital and conducive to the proper growth of crops - Nitrogen, Phosphorus and Potassium. It also has traces of nutrients like Manganese, Zinc and Copper, thus making it a balanced fertilizer. Moreover, it helps to neutralize the detrimental effects of chemical fertilizers. Apart from their contribution to Nutrients, they have a number of benefits in agriculture, which none of the synthetic fertilizers or pesticides can offer. They bring in the wonderful molecules that nature has designed to help the plants flourish naturally. They provide slow and steady nourishment, stimulation, protection from soil nematodes and insects; improve yields, and quality of product like taste, flavor, amino acid composition etc. Nutrient content of High Protein Castor De Oiled Cake: Organic matter ~ 80 %, Nitrogen ~ 5.00 to 8.00 %, Phosphorous ~ 1.50 %, Potassium ~ 1.50 %. It also contains some micro nutrients viz., Calcium, Magnesium, Sulphur, Iron, Zinc, Manganese, Copper etc. A typical composition of High Protein Castor De Oiled Cake is as follows: Castor De Oiled Cake (High Protein) Nitrogen - 6% min. Protein - 38% min. Phosphourous - 1% min. Potassium - 1% min. Moisture - 12 % max. Oil Content - 0.5% max. Sand Silica - 2% max Castor De Oiled Cake (SPL High Protein) Nitrogen - 8% min. Protein - 50% min. Phosphourous - 1% min. Potassium - 1% min. Moisture - 12 % max. Oil Content - 0.5% max. Sand Silica - 2% max Advantages: 1. It provides all the major & minor nutrients necessary for better plant growth. 2. It also helps in increasing the nutrient uptake by plants. 3. It improves the soil fertility and productivity. 4. It is known to protect the plants from nematodes and termites. 5. It improves the yield & quality of the farm produce. 6. It improves the physical, chemical and biological properties of soil. 7. It has insecticidal properties and naturally pest repellent. 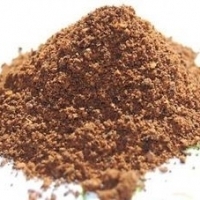 Castor Oil Cake - Organic Fertilizer Castor Oil Cake is also commonly called as Castor Cake. Castor Oil Cake is produce by crushing castor seeds in expeller to extract oil from it in a control temperature with help of steam. Castor Oil Cake is one of the most versatile natural manures. It is truly organic manure which enhances the fertility of the soil without causing any damage or decay. It is enriched with the three big elements vital and conducive to the proper growth of crops - Nitrogen, Phosphorus and Potassium. It also has traces of nutrients like Manganese, Zinc and Copper, thus making it a balanced fertilizer. Moreover, it helps to neutralize the detrimental effects of chemical fertilizers. Apart from their contribution to Nutrients, it has numbers of benefits in agriculture, which none of the synthetic fertilizers or pesticides can offer. They bring in the wonderful molecules that nature has designed to help the plants flourish naturally. They provide slow and steady nourishment, stimulation, protection from soil nematodes and insects; improve yields, and quality of product like taste, flavor, amino acid composition etc. Nutrient content of Castor Oil Cake: Organic matter ~ 80%, Nitrogen ~ 4.50 to 6.00%, Phosphorous ~ 1.50%, Potassium ~ 1.50%. It also contains some micro nutrients viz., Calcium, Magnesium, Sulphur, Iron, Zinc, Manganese, Copper etc. Advantages: 1. It provides all the major & minor nutrients necessary for better plant growth. 2. It also helps in increasing the nutrient uptake by plants. 3. It improves the soil fertility and productivity. 4. It is known to protect the plants from nematodes and termites. 5. It improves the yield & quality of the farm produce. 6. It improves the physical, chemical and biological properties of soil. 7. It has insecticidal properties and naturally pest repellent. Mode of use Castor Oil Cake fits for any type of soil, with its high content of organic matter. Sunray International recommends this manure for all kind of crops. Castor Oil Cake is also the fertilizer for turf and lawns. When it is used as basic manure, Castor Oil Cake is taken by spreading on the soil 10 to 15 days before planting. When used as a fertilizer for maintenance, it is spread to the surface, slightly hidden if possible, and lightly watered if necessary. Caution Castor Oil Cake contains a substance (ricin) is particularly toxic for oral ingestion. Avoid putting it into piles and keep the bag away from animals. Packing: 50 Kg PP/HDPE Export Worthy Bag. Castor Oil Cake available in Flakes & Powder form. Castor De Oiled Cake - Organic Fertilizer De-oiled castor cake is also called castor meal, castor cake, castor residue or castor extract. Castor meal - the residue obtained from castor oil cake by the solvent extraction process - is one of the most versatile natural manures. It is truly organic manure which enhances the fertility of the soil without causing any damage or decay. It is enriched with the three big elements vital and conducive to the proper growth of crops - Nitrogen, Phosphorus and Potassium. It also has traces of nutrients like Manganese, Zinc and Copper, thus making it a balanced fertilizer. Moreover, it helps to neutralize the detrimental effects of chemical fertilizers. Apart from their contribution to Nutrients, they have a number of benefits in agriculture, which none of the synthetic fertilizers or pesticides can offer. They bring in the wonderful molecules that nature has designed to help the plants flourish naturally. They provide slow and steady nourishment, stimulation, protection from soil nematodes and insects, improve yields, and quality of product like taste, flavor, amino acid composition etc. Advantages: 1. It provides all the major & minor nutrients necessary for better plant growth. 2. It also helps in increasing the nutrient uptake by plants. 3. It improves the soil fertility and productivity. 4. It is known to protect the plants from nematodes and termites. 5. It improves the yield & quality of the farm produce. 6. It improves the physical, chemical and biological properties of soil. 7. It has insecticidal properties and naturally pest repellent. Mode of use Castor De Oiled Cake fits for any type of soil, with its high content of organic matter. Sunray International recommends this manure for all kind of crops. Castor De Oiled Cake is also the fertilizer for turf and lawns. When it is used as basic manure, Castor De Oiled Cake is taken by spreading on the soil 10 to 15 days before planting. When used as a fertilizer for maintenance, it is spread to the surface, slightly hidden if possible, and lightly watered if necessary. Caution Castor De Oiled Cake contains a substance (ricin) is particularly toxic for oral ingestion. Avoid putting it into piles and keep the bag away from animals. Packing: 50 Kg PP/HDPE Export worthy Bag. BSS Worldwide Private Limited is one of the leading exporters of Animal feed products from India. We are entrusted with the task of sourcing and exporting cattle feed in global market. Our product range comprises Corn Gluten Meal/ De-oiled Cake, Cottonseed Meal, Rapeseed Meal, Soybean Meal and Guar Gum. We offer the animal feed with specifically prepared, stored, packed, stuffed and shipped in quality-controlled parameters. Ensuring a high grade, rich taste and pure quality, cattle feed is acquirable from us in the requisite quantity at the best prices. Castor cake oiled Castor cake, naturally rich in nitrogen Castor Cake is a natural nitrogen fertilizer (solid residue obtained from the treatment of seeds for castor oil),plant origin, rich in nitrogen, trace elements and organic matter. It is a simple manure, which acts progressively that encourages soil microbial activity. 100 kg of castor cake brings to the floor as much nitrogen (N) as 1 800 kg of cow dung. The castor cake has insecticidal properties and naturally pest repellent. It is can be used in organic farming. Main nutrients Organic matters 58% Nitrogen (N) 5% Phosphorus Anhydride (P2 O5) 2% Potassium Oxide (K2 O) 1.5% Mode of use: Castor Cake fits for any type of soil, with its high content of organic matter. Guanomad recommends this manure for impassioned of gardens, growers of garden products. Castor Cake is also the fertilizer for turf and lawns. This fertilizer promotes root development and winter cold hardiness. When it is used as a basic manure, Castor Cake is taken by spreading on the soil or per hill 10 to 15 days before planting. When used as a fertilizer for maintenance, it is spread to the surface, slightly hidden if possible, and lightly watered if necessary. 25/50 Kg. HDPE Plastic Bag OR Bulk Container load. Castor meal, soya meal, mustard meal and many other agri commodity. Castor meal, fsg castor oil, hydrogenated castor oil. Castor oil and castor meal. Soybean meal, castor meal, rapeseed meal. Soybean meal, rapeseed meal, castor meal, mustard meal, ND nirol soap.